Studying for an exam? Experiencing frequent memory loss? Losing mental sharpness is a key concern throughout all stages of life: about 47.5 million people worldwide are affected by cognitive troubles. 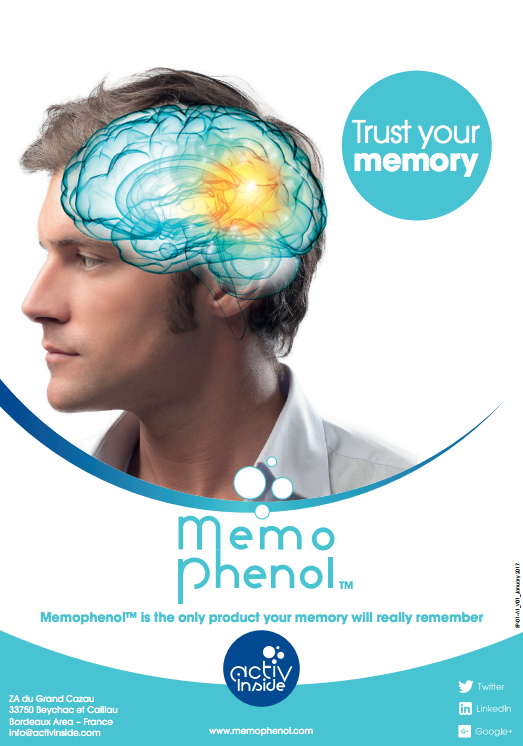 From teenagers to seniors, trust your memory with Memophenol™, a patent-pending synergistic formulation clinically proven to boost your attention and concentration, enhance your learning capacity, and support your short and long term memories. Learn more about Memophenol by downloading this white paper.